Someone once told me that she admired how I handled the romantic aspect of my life. But to tell you all quite frankly, there is no big secret as to how I gracefully date, fall in love, leave, or get my heart broken. Experience was, actually, the best teacher I have ever had. When people get their hearts broken, some would fall into that seemingly endless pit of loneliness, blaming the world, blaming their own selves, and even wanting to just disappear into thin air. If you have seen the movie "That Thing Called Tadhana," you would know what EXACTLY I mean. Big surprise, I have also had my fair shares of being depressed, wondering what went wrong, wishing he would be back; but at the end of the day, I just came upon the realization that my world should never revolve around the thought of having and maintaining a romantic relationship with someone; and that is how I managed to become this strong girl I am today. No matter how much we deny it, we live in a society where having a romantic partner seems to be more important than anything else. Just look at the movies, the advertisements (always about looking beautiful to attract a partner), songs that have become hits, and even your Facebook newsfeed. Am I right? At a Facebook group I'm in, someone asked if it's important to be in a relationship (or something like that) and I answered, "no." A man should never define your worth as a person and if you are more comfortable being single, no one should ever judge you. 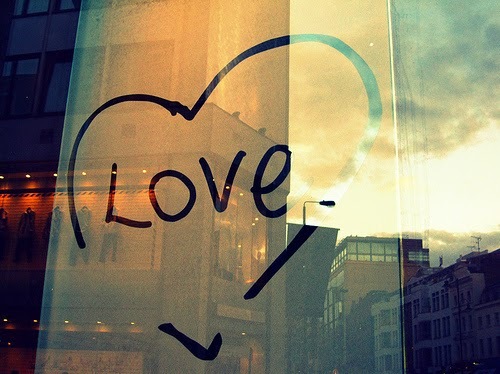 Romantic love is not the only kind of love in the world and that is what I have come to realize. I am in love with my work, with my family, with my friends and most especially with my life. I couldn't ask for more. But, of course, it doesn't mean that I would never want to be in a relationship. My take on that is to just go out there, explore and try new things. I went out on dates but because it was never my utmost priority and my life is awesome as it is, I was more logical in handling things. Of course, love is still needed in a relationship but like what I keep on saying, "love is not a unique feeling." So as not to box myself with just the people I meet every day and to also meet new people who might tickle my interest, I tried dating applications and even a speed dating event before. It was all a fun experience and I have met new friends along the way. Yes, I am in a relationship now. But this relationship does not define my worth as a person. I am thankful that because of how I have explored and tried new things, I met someone who would be able to accept me for who I was, who I am, and who I will be. He supports me in everything I do and continuously encourages me to even do better. 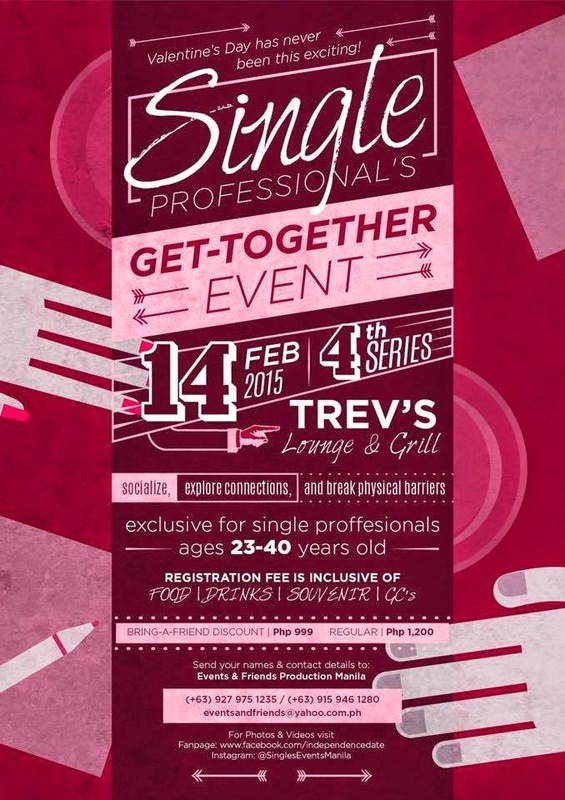 So for all my single readers out there who wants to explore and try something new, The Single Professionals' Get-Together Event will be having its 4th series on February 14, 2015 at Trev's Lounge & Grill. For more info, you can email them at: eventsandfriends@yahoo.com.ph or visit them on Facebook. Should you want to know how last event went, read my blog post about it HERE. Is anyone attending? Message me as to how it went for you, K?